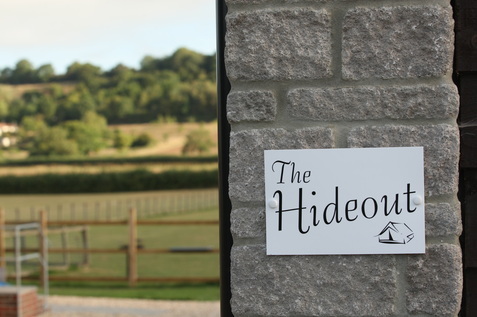 The Hideout is a small, friendly, family-run site conveniently situated approximately 4 miles from Junction 23 of the M5 motorway. The site is tucked away from any main roads in a quiet and spacious setting with 20 pitches. The Hideout is ideal for Caravans, Motor homes, Trailer tents, tents etc. Follow The Hideout on Twitter!